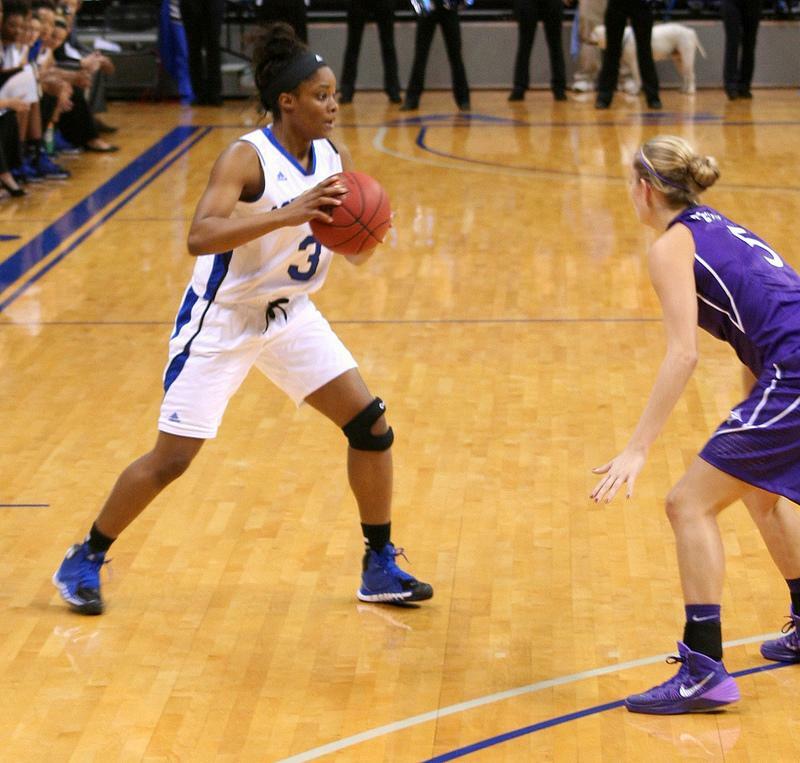 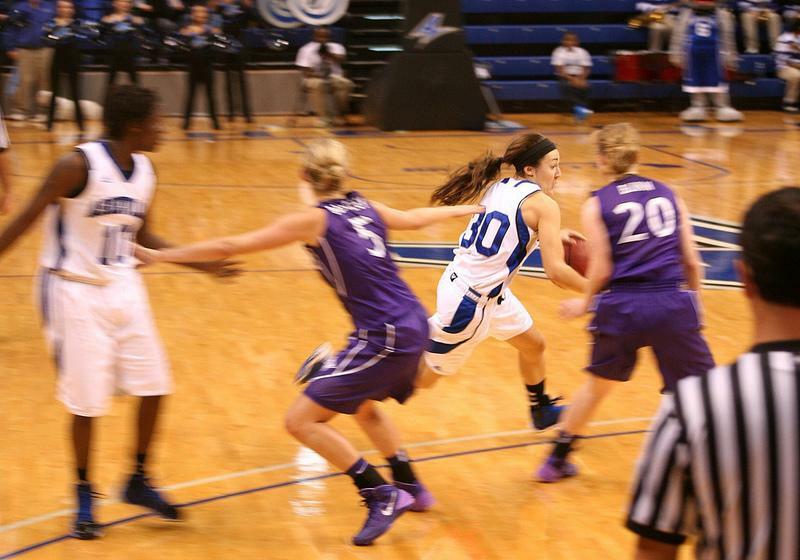 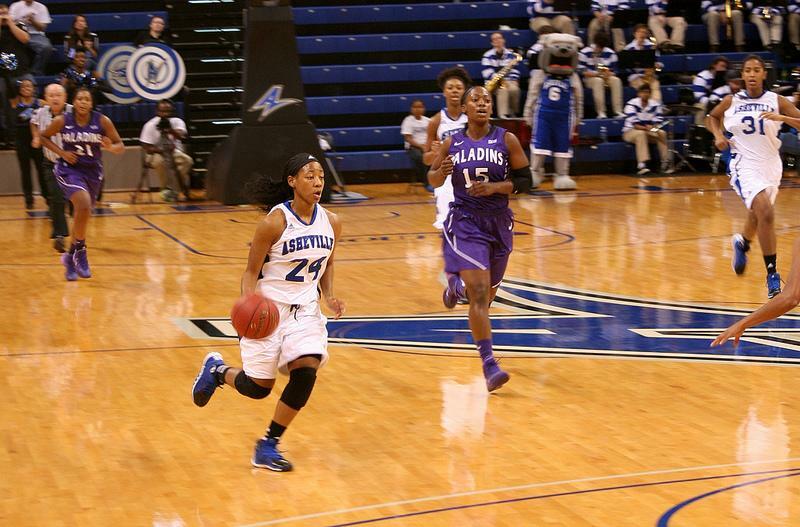 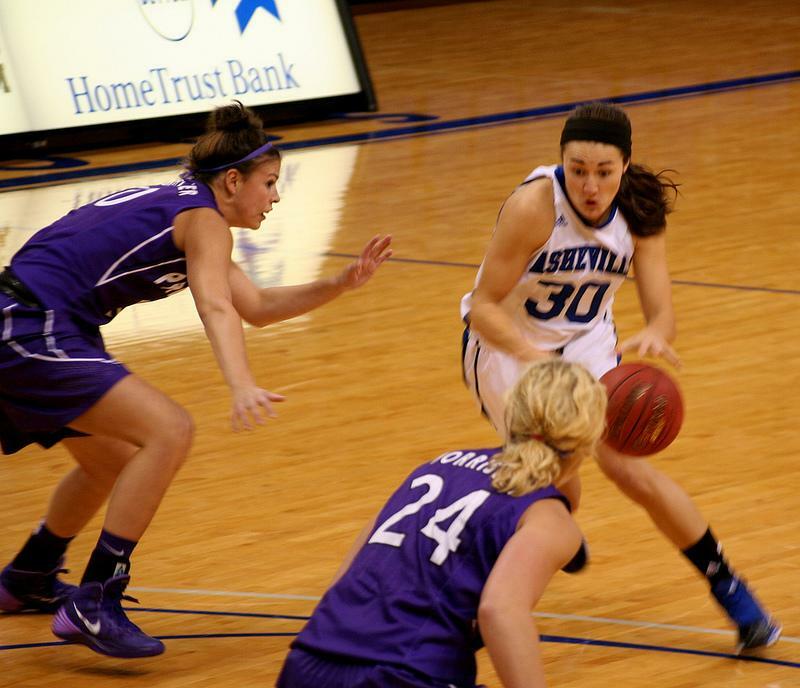 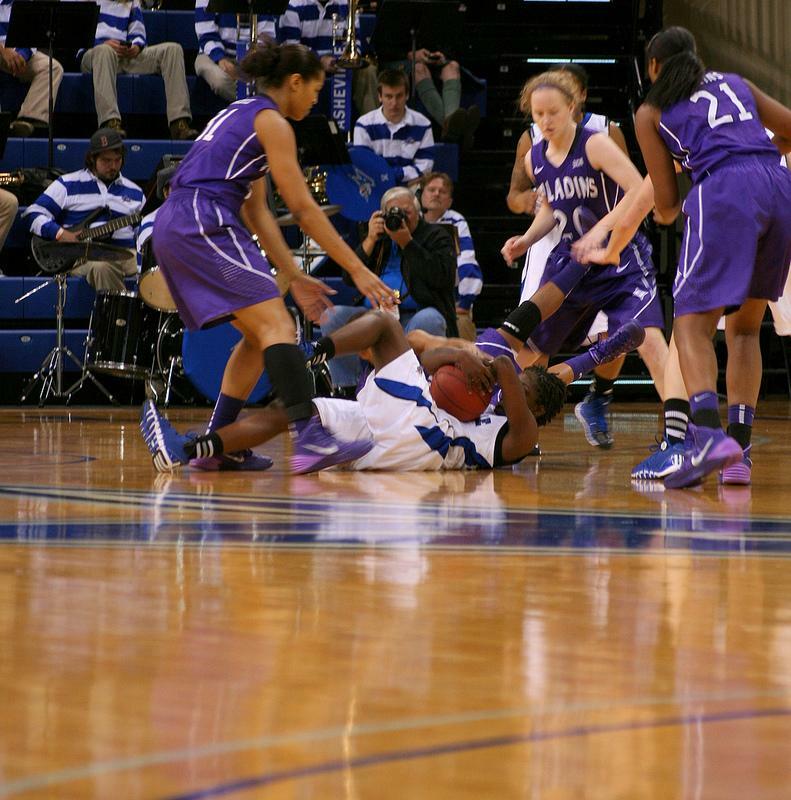 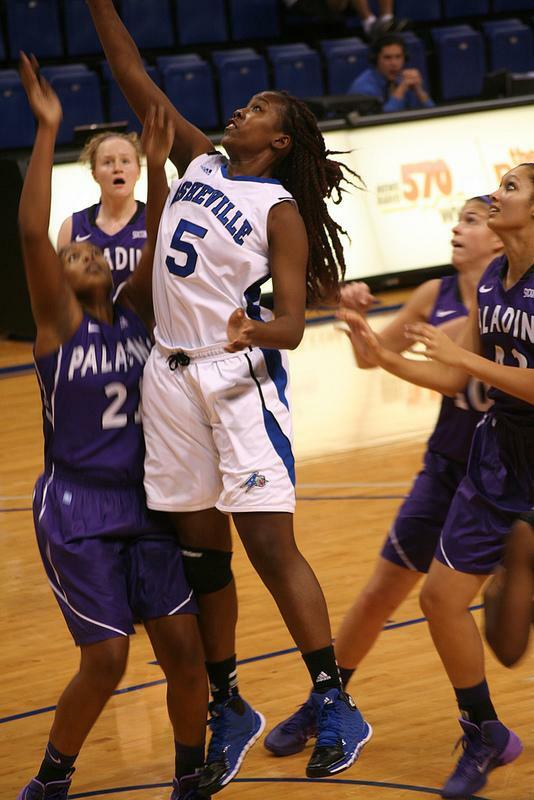 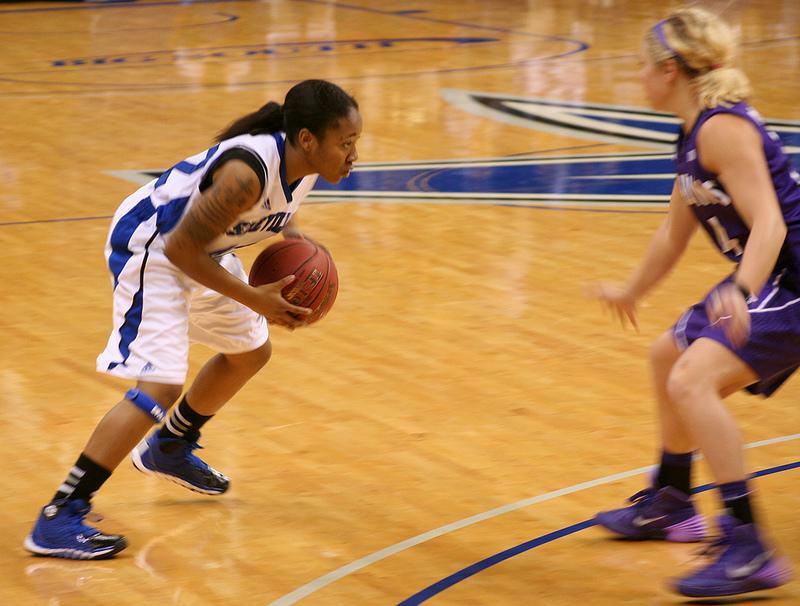 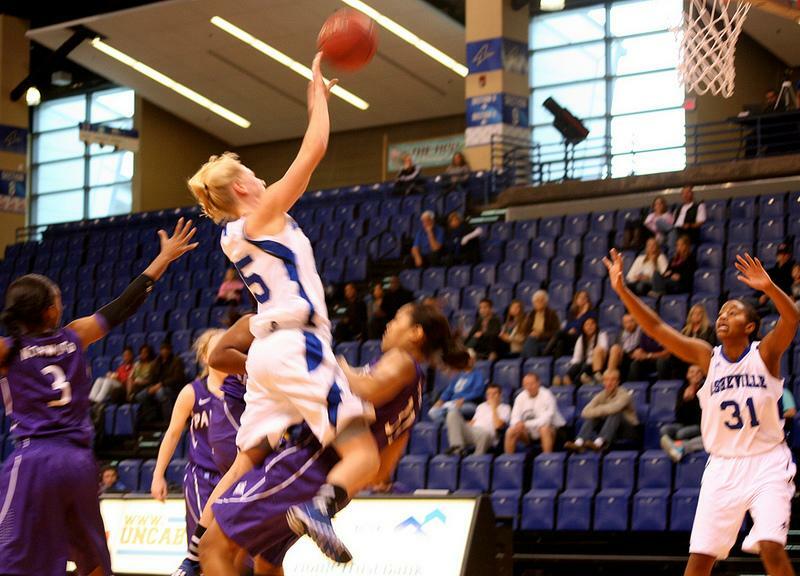 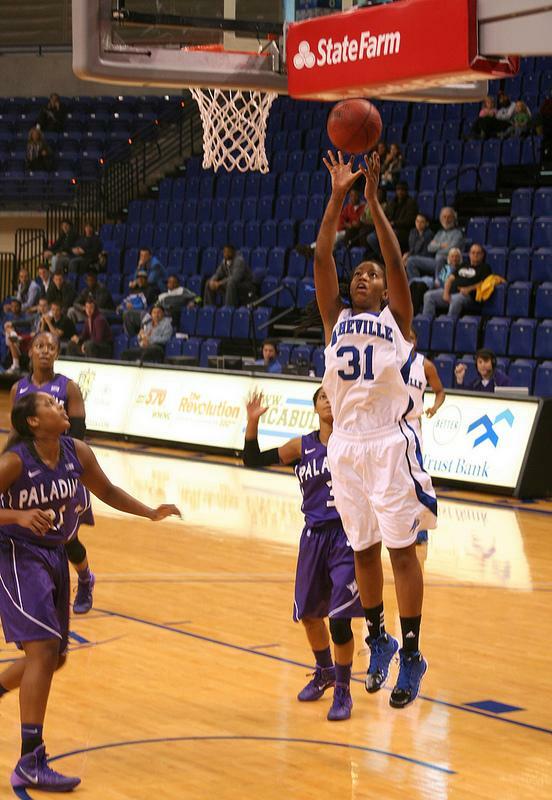 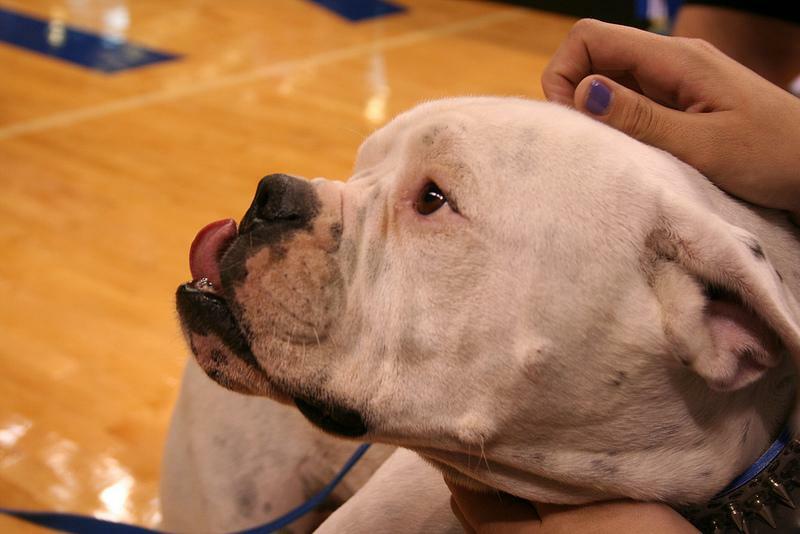 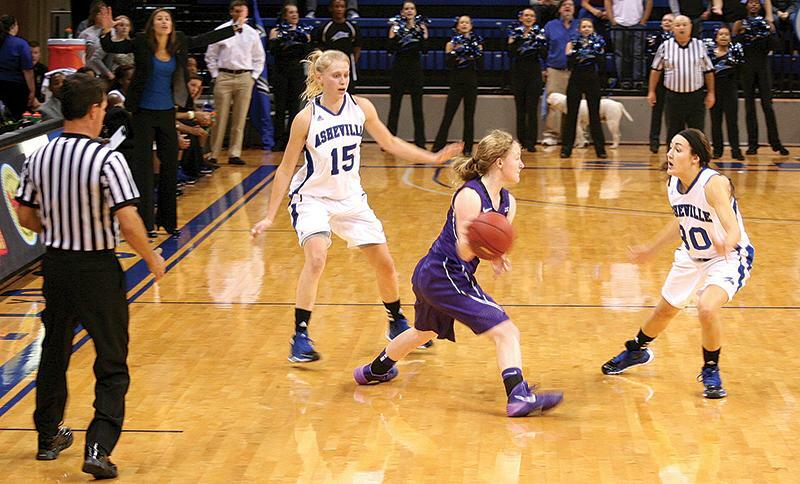 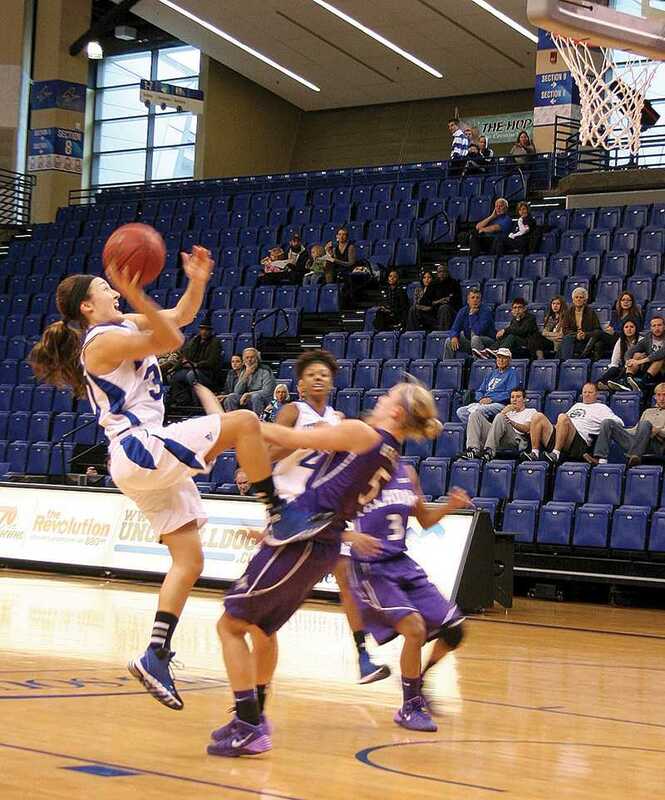 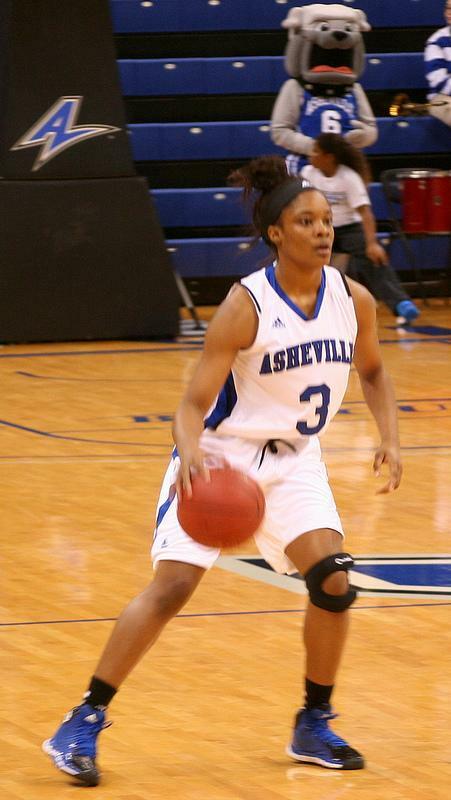 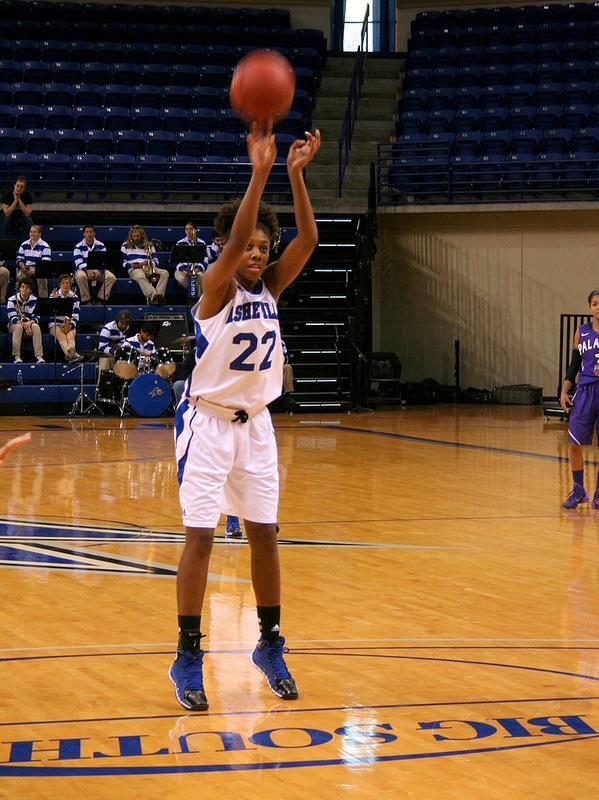 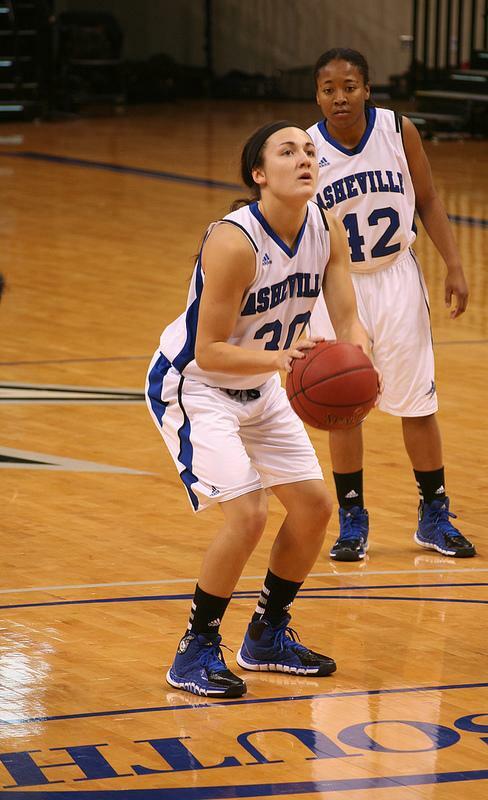 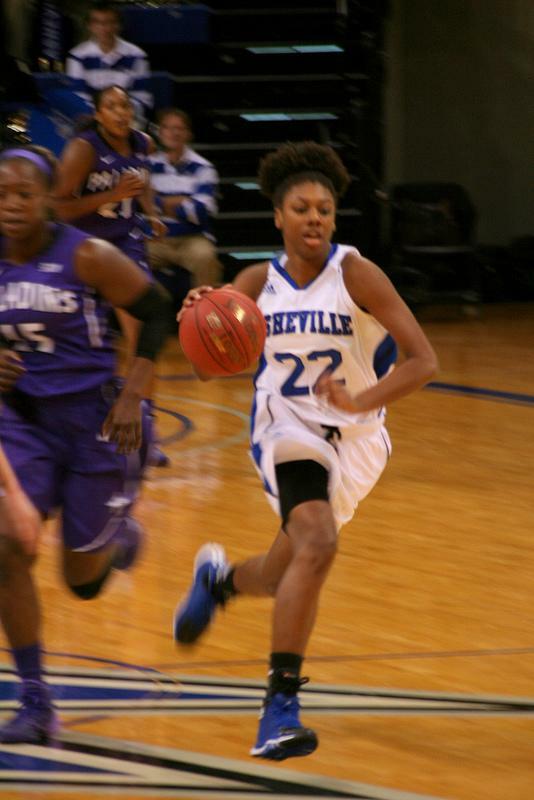 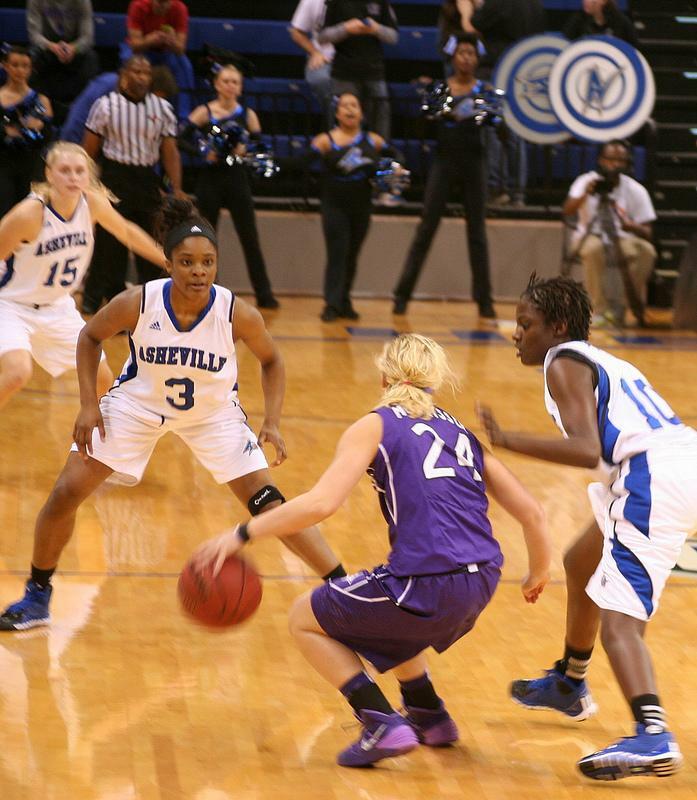 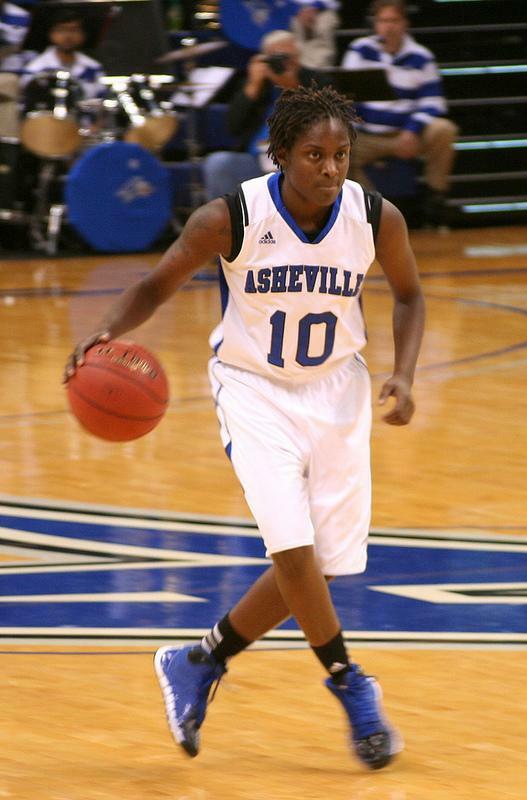 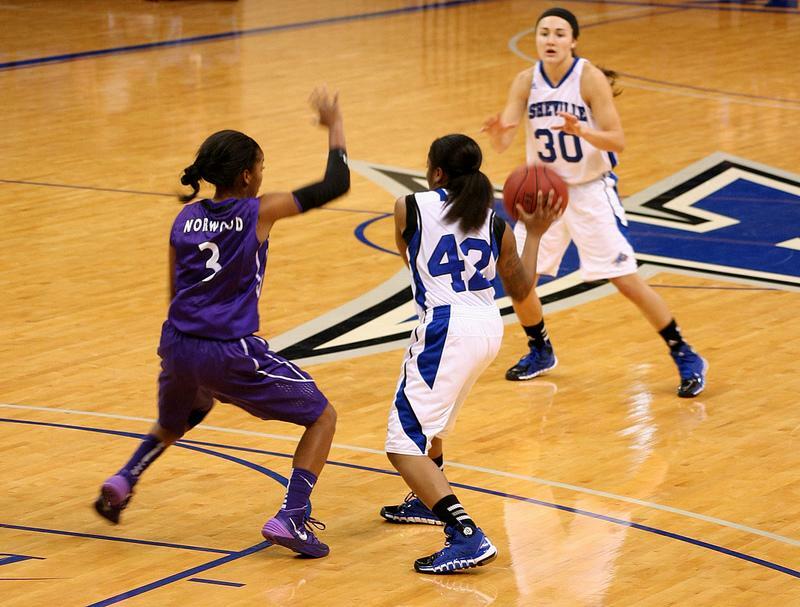 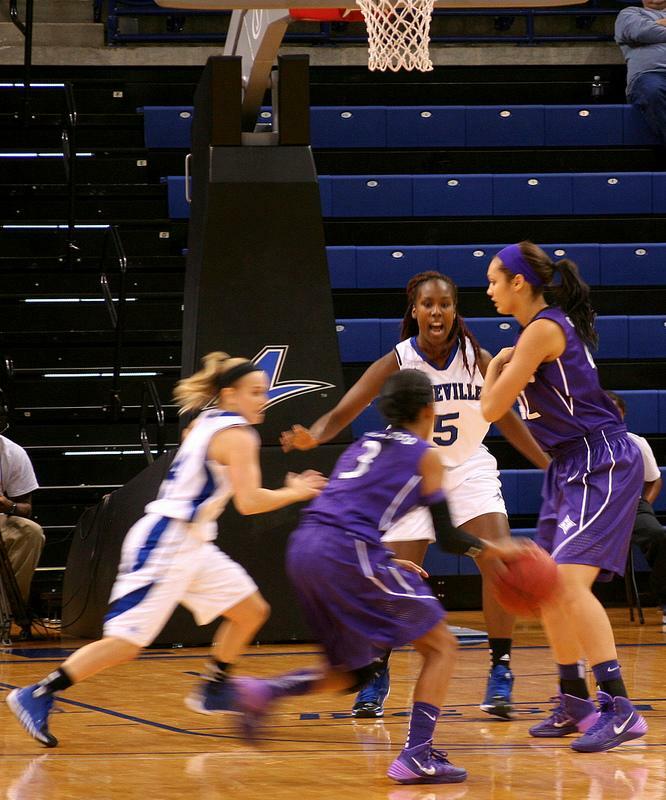 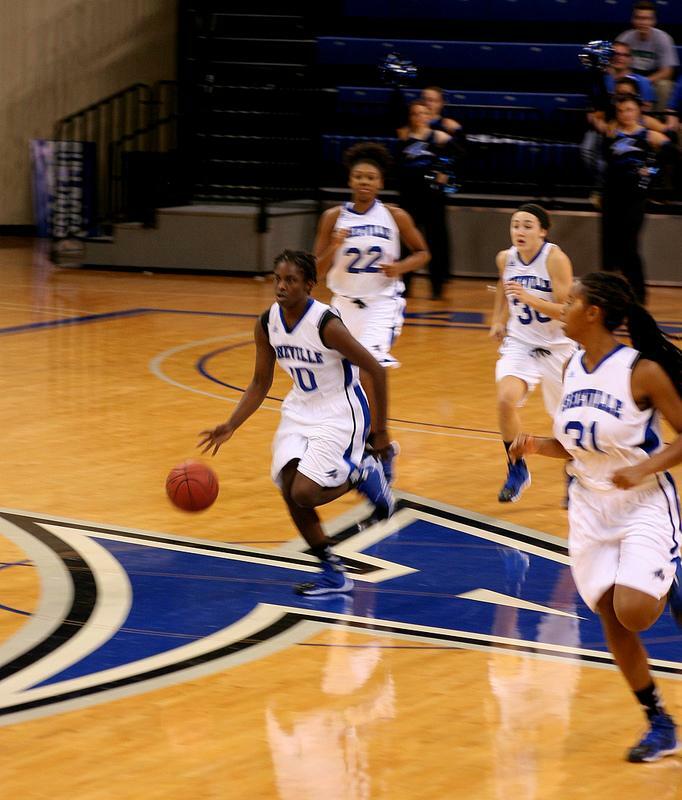 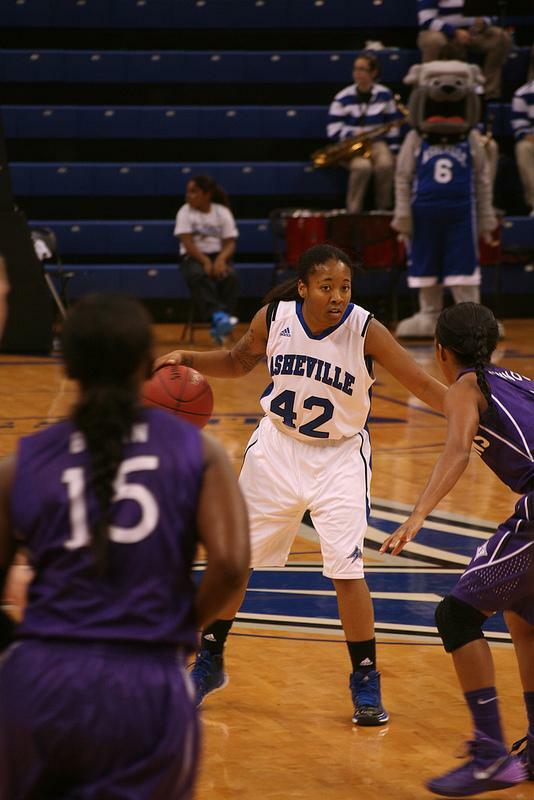 UNC Asheville women's basketball team took on Furman at the Kimmel Arena Nov. 9 and won 68-65. 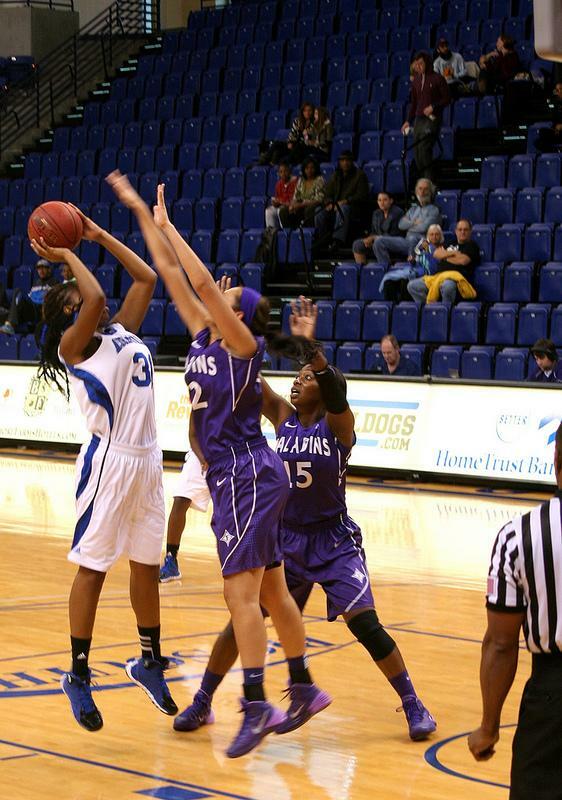 Junior Shonese Jones blocks a Furman player aiming for the basket. 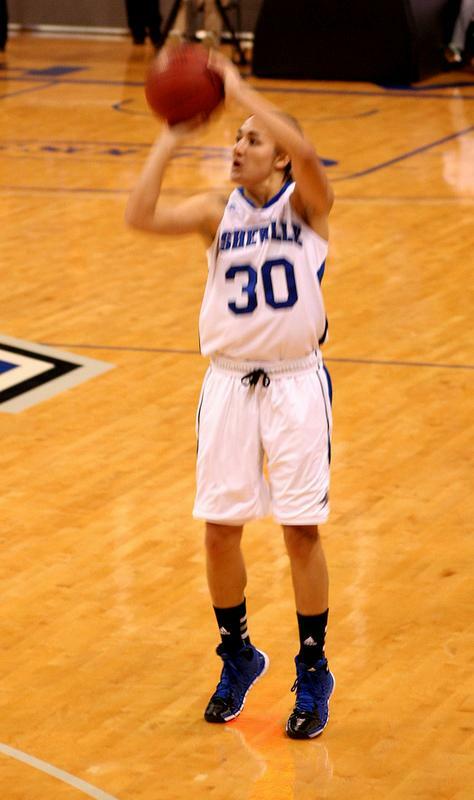 Photo by Harper Spires. 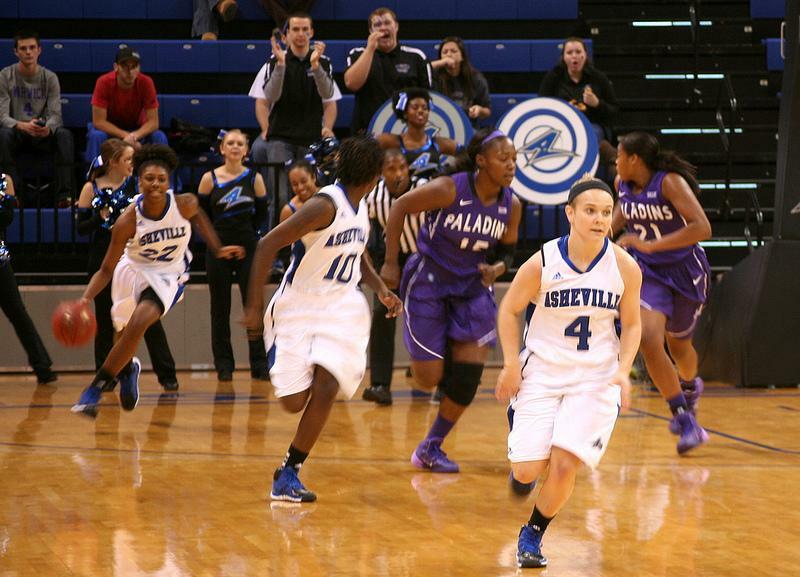 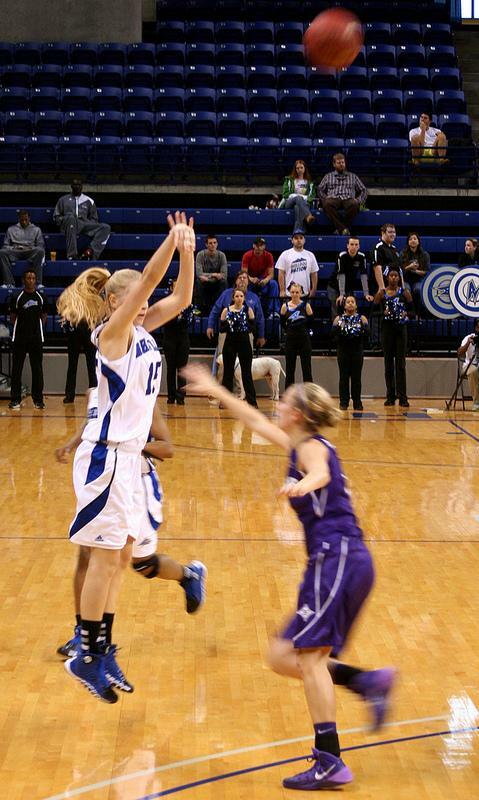 Junior Jeannie Bucker leaps for the basket at the women's game against Furman last Saturday. 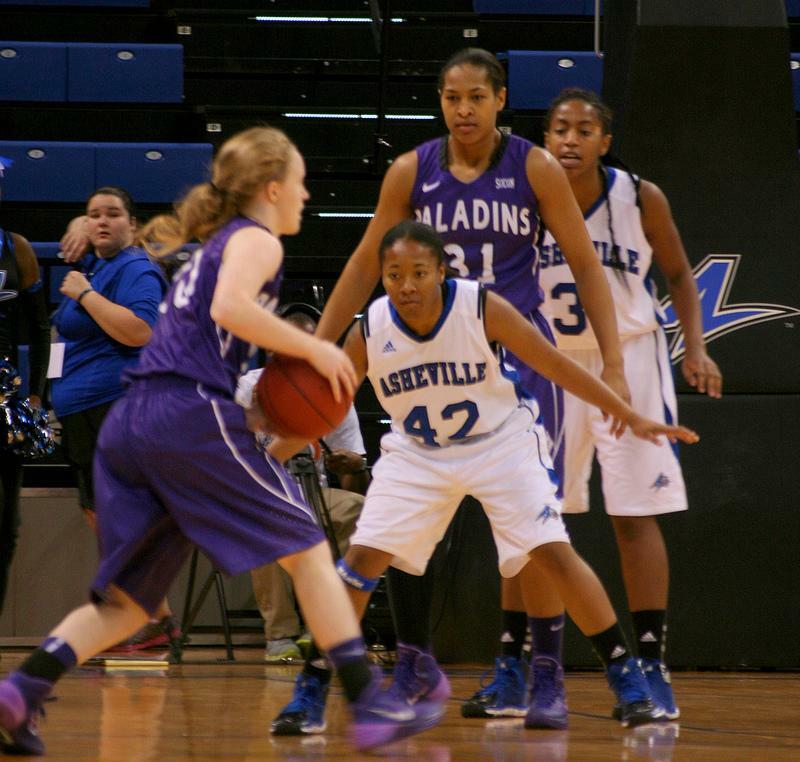 Freshman Ja'da Brayboy pauses and aims for the basket at the women's game against Furman last Saturday. 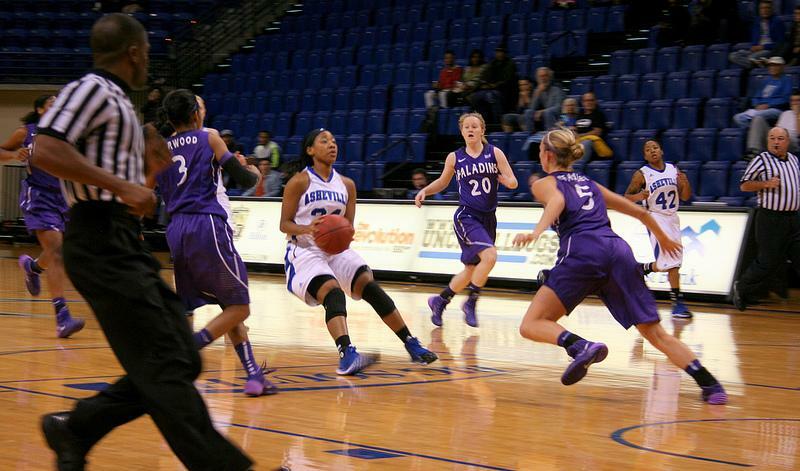 Junior Brittany Gwyn dribbles the ball during the game against Furman at Kimmel Arena Saturday Nov. 9. 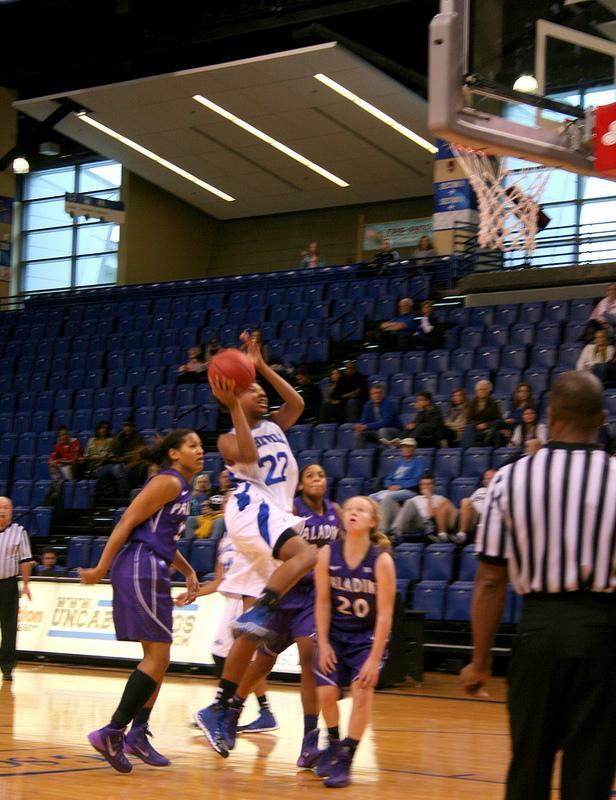 Sophomore Paige Love jumps for the basket, scoring a shot at the women's game against Furman last Saturday. 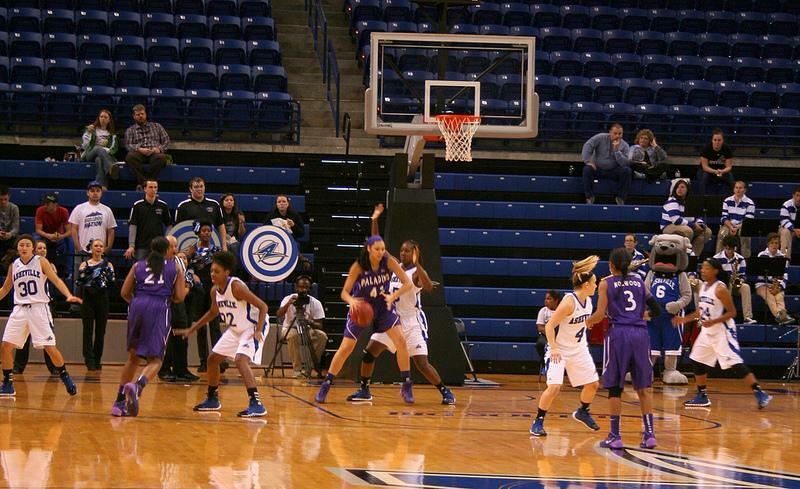 Junior Jeannie Bucker, left, and sophomore Paige Love, right, block at Furman player at last Saturday's game. 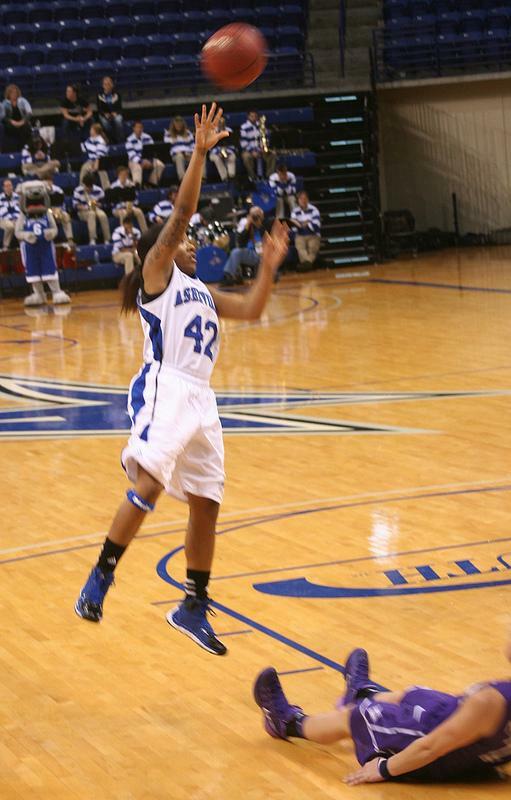 Photo by Harper Spires.